it's not often i have the chance to be topical. not that topicality doesn't invade from left-field every now and again, but often my settings for the day are too right-field to take advantage. were such topicality to happen along more regularly, you would think all the better of me for my skill of incorporation. always trying to impress, i suppose. anyway, not that i intend to be topical quite to the time bonuses on the finish line (just in case this accidentally reaches the web server before some of you have watched the highlights), but the lack of live television coverage on either itv4 or so-called british eurosport of today's angliru stage of the vuelta has come in for some well-deserved and well-aimed criticism. rare are the occasions when britain can claim to have two riders first and second in one of the three grand tours, and more especially on a stage where all could switch from impending victory to impending doom and despondency. though i have not checked the respective schedules, i believe the vuelta espana, led by wiggins and froome, riding for a british pro-tour team was bumped in favour of motorsport. i have no idea if both were televising the same race, but if ever anything were designed to put us in our place as to the national significance of cycle racing in the uk, today was probably it. british eurosport has two channels, so you'd figure that, if they were as committed to cycle racing as they'd like us to believe, one could have been made available for the vuelta, given the circumstances. london's look mum no hands were proudy trumpeting that they still had access to international eurosport, and were thus inviting all and sundry in the area to join them for a particularly exciting stage. britain gives less than a fig for cycle sport, but is besotted with motorsport. that's just the way that it is. in the grand scheme of all that is international sport, cycling is undoubtedly of minority interest. 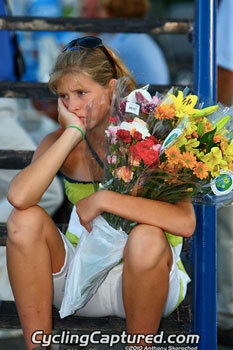 thus those who spend the bulk of their time on the periphery of the sport are playing to a very small gallery. though not resident in the uk, photographer anthony skorochod possibly suffers even more for his art, as it's doubtful if north american media treats its cycle sport any better than britain does. arguably even worse. so, allowing for the fact that he populates a very small corner of a very small part of the sporting panoply, why take pictures of cyclists? 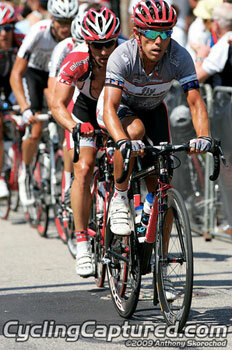 "My eldest son started cycling and racing at the Valley Preferred Cycling Center in 2004 in the Air Products Program. I began taking cycling photos of my son then with an Olympus C-720. I quickly realized this camera couldn't cut it, so I bought my first DSLR, a Canon Digital Rebel XT. 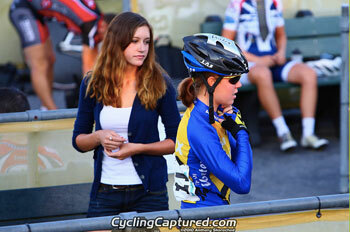 My son progressed from track to criteriums and then road racing; so did my photography. After a couple of years, I realized I should upload my photos to a central location to share my work, and soon after, having spent hard-earned money which I didn't have, on photography gear, gasoline, and webhosting, I began charging money for my work and CyclingCaptured.com was born." the advent of digital photography has pretty much turned everyone and his little brother into a photographer, a discussion i was having with a pro photographer only the other day. consistency and technical know-how will undoubtedly count in the long-term, but it's often a case of having the tenacity to hang on long enough until the wannabees fall by the wayside. with so many college courses and training centres offering qualifications in photography, a few certificates on the wall would surely go some way to assisting a burgeoning career behind the lens. is anthony formally trained, or is he just rather good at clicking? I am not formally trained, I hold no degrees or certifications, nor have I ever attended any photography classes. I am 100% self-taught. Everything I know I've learned from asking other photographers questions, viewing on-line learning lessons from Adobe, Canon, Scott Bourne, and buying books authored by Bryan Peterson, amongst several others. Even viewing the EXIF data from other photographers photos was a big help. (EXIF data is information that a digital camera records in tandem with each image, specifying shutter speed, focal length, flash fire etc.) By viewing that information, I was able to find out 'how they did that.'" i know that i've been taking photographs for what seems like forever, to illustrate my daily articles, but i'd never willingly admit to being what could notionally be referred to as a photographer. i know my place. that said, should the thought ever dawn that perhaps my black belt in photoshop could bail me out of a complete lack of knowledge, i'd have several years worth of images to convince the unwary. how long has mr skorochod been photographing cycling? "Since 2004. 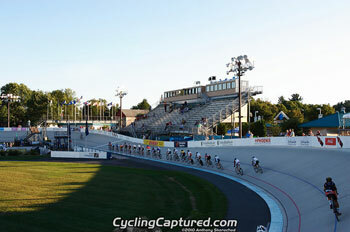 I started at the Valley Preferred Cycling Center with track, then began photographing the Thursday Night Crits across the street at the Bob Rodale Fitness Park, then I progressed to photographing road racing, mainly in the Lancaster, P.A. area when RedRoseRacing was still in business." my own recognisable style comes from the ten second timer available on my lumix compact, combined with layer blend modes in photoshop. if anything looks good, it's mostly accidental. however, taken out of the context of black and yellow pixels, i'm sure few would look in their direction in a frame on a wall. however, i'm happy to admit that all images of mine that appear on these pages are there simply by way of illustration. that's pretty much all i'm looking for. does anthony figure he has a recognisable style and has he any long-term aim concerning his imagery? "I think I do have a recognizable style. I shoot in RAW (unconverted digital information) and apply a specific 'recipe' to all of my photos. It consists of a certain level of sharpening, contrast, and saturation. I can usually tell when a photo is mine. My ultimate goal in photography is to work at it full-time. I'm in the 'downswing' of my career; I'm a Paramedic with almost 25 years in on the job, but I can't do that forever and photography is an excellent fall-back career." several people involved in what i have rather disarmingly referred to as the periphery of any sporting activity, are there either as an accompaniment to their own sporting aspirations, however lowly those may be in the grand scheme of things, or as a substitute for an inability to take part. is anthony a frustrated cyclist? "I would cycle if I could. I've been out of shape since 1995, but believe it or not, I used to be a runner. I then met my wife, got married, had kids and steadily gained weight throughout the past 17 years, reaching a peak of 360lbs. At that weight it's pretty hard to do much of anything, let alone cycling. I underwent gastric-bypass surgery this past June and have lost over 80lbs in the past two and a half months. I'm down to a 'cozy 260lbs as of this article. "I'd like to try my hand at cyclocross. I won't be down to an ideal weight by this Fall, but definitely next year I'll be tearing it up with the rest of the CAT 4s in the MAC." though it doesn't yet provide him with a living, does he consider photography an expensive hobby? "I don't consider it a hobby; more a part-time job. 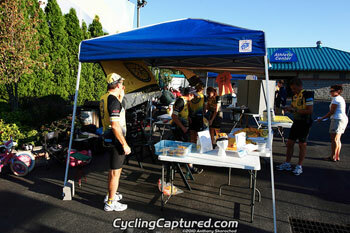 I run CyclingCaptured.com like a business and it does pay for itself in-season with a little to spare." any preference as to the type of cycle racing he captures with his lens? "Cyclocross, without a doubt." no matter which particular strain of cycle sport meets personal preferences, few if any, take place in a static venue; travel is undoubtedly an occupational hazard. taking a look at the schedule anthony has posted on his website for the month of october, he's not going to be kicking his heels in the armchair too often. it's cyclocross season both in europe and north america, so does cyclocross excite skorochod as much as it excites richard sachs (anthony kindly supplied the photo of richard and debs sachs for the article i ran earlier last week)? "I can't wait for October. Cross season begins in less than ten days here in the MAC with the Nittany Lion Cross. By October it will definitely be in full swing. 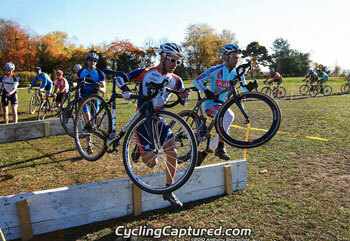 There are so many cool cross races here in the North East, that sometimes it's hard choosing which ones to go to." my own theory as to a noticeable decline in the imagery offered over the years and across the board is one of expense. in the early to middle ground of the age of film, photography was almost the exclusive province of the professional or well to do. there was little point for the man in the street to own a camera because he likely had not the knowledge or wherewithal to develop expensive plates or subsequently, film. camera owners were almost exclusively professionals, and the resulting images were almost always well-crafted. though the web pretty much demands digital, does film figure in the imagery of skorochod? "Besides fooling around with my fathers film SLRs back in the seventies as a child, I've never shot film as an adult.ÊFilm photography does not fit into my business model." this leads me on to the darling of many a cycling photographer: black and white. yet scouring the images on CyclingCaptured.com monochrome imagery is almost conspicuous by its absence. "I do B & W conversions every now and then. I prefer to display and sell my work like it happened: in living color. I feel most photographers display their work in B & W to try and compensate for a photo that would otherwise be discarded. I am not an 'artsy fartsy' photographer. Even with the few I do convert to monochrome, I'll still display the color version right next to them. i can't be the only one to have noticed that, despite cycling occupying such a miniscule corner of the sporting world, it's a sport that seems well served by an unusually high number of photographers, both professional or otherwise. anthony must, therefore, bump into at least one or two of his peers at each event attended. is there a camaraderie amongst this agglomoration of lensmen, or is it more identified by a sense of competition? "Yes and no. All of the 'regular' photographers (in the MAC anyway) know each other and we're all friendly towards each other. 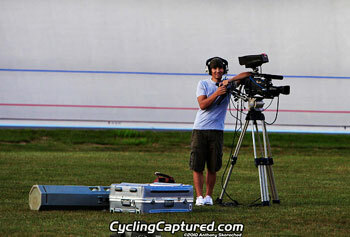 I've even let one of them borrow a camera body during a race because something happened to his. "However, I try and keep pointers to myself though, because at the end of the day they are still my competition." if anthony concerns himself with pixels end to end, there's an even chance that somewhere in the process, adobe's photoshop is going to rear either its ugly head or its helpful list of menu commands, layers and filter options. is photoshop a friend or foe? "I tend to stay away from Photoshop. When I post-process, I'm usually doing it in batch mode at 1-2000 photos per race. I don't have time to process each one in PhotoShop. I use other software that excels with Canon RAW files in batch mode. However, due to the dirty/gritty nature of cyclocross there is an effect I like to apply every now and then that can only be applied in Photoshop or (Adobe) Lightroom. But I don't do that to very many photos; only a select few. The lighting has to be a certain way for it to be effective." it's hard to deny that skorochod has built an impressive body of work, every bit the equal of many other photographers plying their trade in the realm of cycle sport. as with many technical pursuits, continued exposure (pardon the pun) to the vicissitudes of the genre, result in a noticeable improvement to the end result. is that the plan, or has anthony a more cunning scheme in his camera bag? "A long term goal is to shy away from individual photo sales in preference to working for sponsors. That's where the big bucks are. The cycling photographers who do this full-time are working for sponsors or the events themselves. They either simply don't offer individual photo sales, or just don't care about them. Right now, my bread and butter comes from the CAT 4 & 5 riders just starting out, and who don't have many photos of themselves. My current work mainly focuses on them." CyclingCaptured.com \ all images copyright anthony skorochod and used with permission.